Our comprehensive curriculum provides a broad perspective, teaching the skills necessary to solve business challenges effectively. Below you will find answers to frequently asked questions about our program. Please also see our admissions page for information on how to apply and application requirements. What is the student profile for MSiA? Students in the Master of Science in Analytics program are exceptionally talented and motivated. Read more about our students and alumni here. See each students' profile for more information on their background and experience. Am I required to know all of the systems used in this program before classes begin? Students entering the program are not required to have a mastery of all the systems used during the program prior to their arrival. The program hosts a 2-week bootcamp and orientation to help build a foundation for the systems used during the 15-month curriculum. Candidates applying for admission do not need to have formal training in any programming languages, however, our most successful applicants have demonstrated aptitude for programming and statistical tools. Unfortunately, the program is unable to accommodate on-campus visits with individual prospective students. The program hosts one on-campus information session for prospective students in November each admissions season. Registration for the on-campus visit and information session fills up quickly, so please check our information sessions page for updates. Those who are unable to attend the on-campus information session, will have the opportunity to visit campus and sit in on MSiA courses after admissions decisions are sent out. 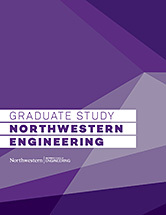 Prospective students are welcome to visit and take a general tour of the Northwestern campus (provided by the undergraduate admissions office). Is it possible to pursue a dual degree at Northwestern with MSiA? It is not currently possible to pursue a dual degree with the MSiA program. Can I continue to work and take classes part time or online? The Master of Science in Analytics program is a full-time, on-campus, day program. We do not have online or part-time options available. Students in the Master of Science in Analytics program are unable to work while enrolled in the program or apply for research and teaching assistant positions. The program is full-time and requires that students be available to work on their practicum projects, capstone projects, course work, as well as commit to attending career development and networking events. Is MSiA a STEM program? MSiA is based in the McCormick School of Engineering and Applied Science and is therefore considered a STEM program. MSiA does qualify international students for OPT extension. I have more questions about MSiA or about my application. Whom do I contact? For any additional questions, please email us at analytics@northwestern.edu.